Fits the smaller 10L tank. 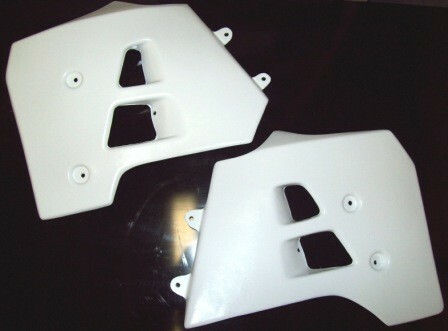 We are unable to mold the inner mounting tab on the shrouds. They mount in three spots. 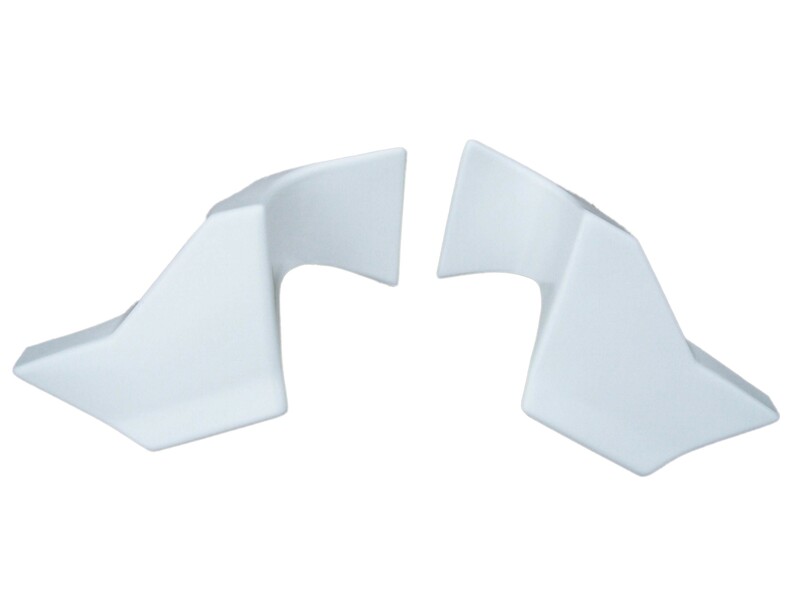 Husqvarna Radiator Shrouds 87-88 Check to make sure that these are correct for your bike - as there are 2 types! 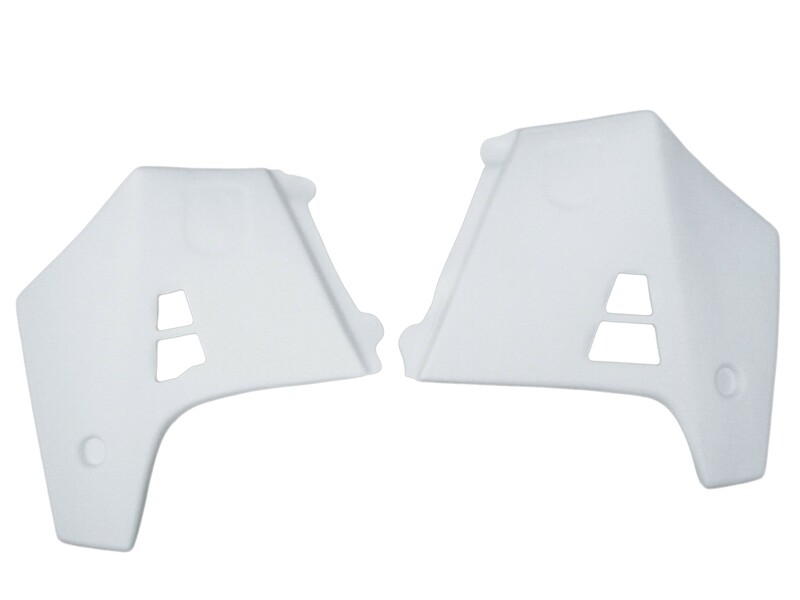 These are for the larger 12 liter tank. 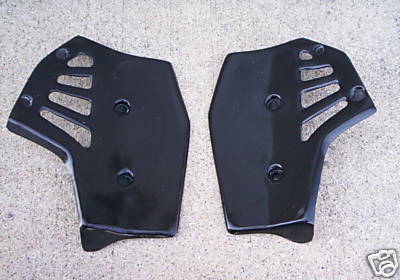 1991-1994 Husqvarna WMX WXC WXE 125 250 360 Radiator Shrouds. Pre-drilled, ready to install. Will fit all 2 stroke models from 1991 to 1994. 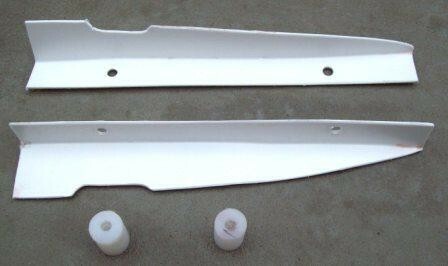 1991-1999 Husqvarna 4 Stroke Radiator Shroud Air Flow Kit. 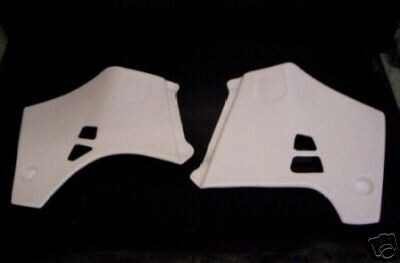 This kit will only work when used in conjunction with our radiator shrouds. Our shrouds do not have the built in air ducts on the underside of the shroud. 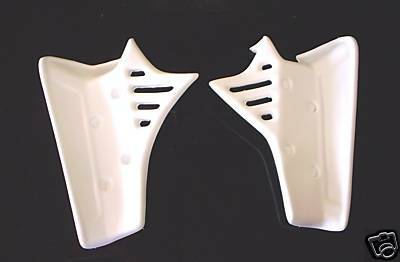 This kit will help prevent your 4 stroke from overheating in the woods.